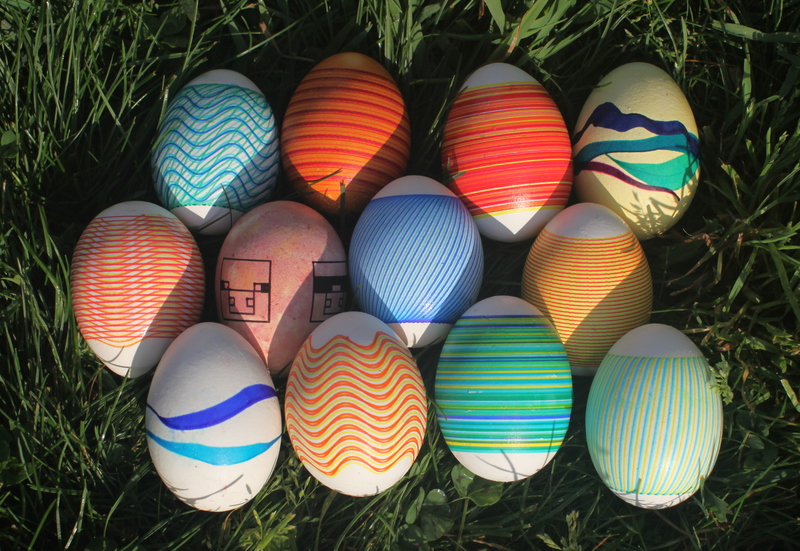 Sine waves were a popular choice for this year’s eggs. And the Minecraft pigs were in demand as always. All the eggs pictures except the pigs were plotted directly from Processing, the pigs were drawn using Inkscape. I’ll post the files to Github within a couple weeks. update: code and svg files are now available on Github.